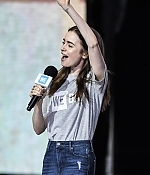 Welcome to Love, Lily, your newest source for all things on the beautiful and talented, Lily Collins. You may recognize Lily from her roles in "The Blind Side," "Stuck In Love," "The Mortal Instruments: City of Bones," "Love, Rosie." She currently stars in "The Last Tycoon" and will soon be seen in "Rules Don't Apply," "To the Bone," and "Okja." Please take a look around the site and be sure to visit again to stay up to date with all the latest news, photos, and more on Lily! Centers on Hollywood’s first wunderkind studio executive in the 1930s, Monroe Stahr, and the power struggle between him and his mentor and current head of the studio Pat Brady. A young girl named Mija risks everything to prevent a powerful, multi-national company from kidnapping her best friend – a massive animal named Okja. Love, Lily is in no way affiliated with Lily Collins, her management, friends, or family. This is a fansite made by fans for fans. All photos used on this site are copyright to their original owners. No copyright infringement is intended. If you need something removed from this site please do not hesitate to contact me. 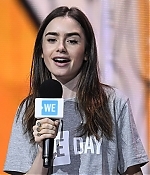 Back last Wednesday (March 7), Lily attended We Day UK at Wembley Arena! It was so great to see Lily out again at at a great event. Check out HQ photos from the event now added to our gallery!